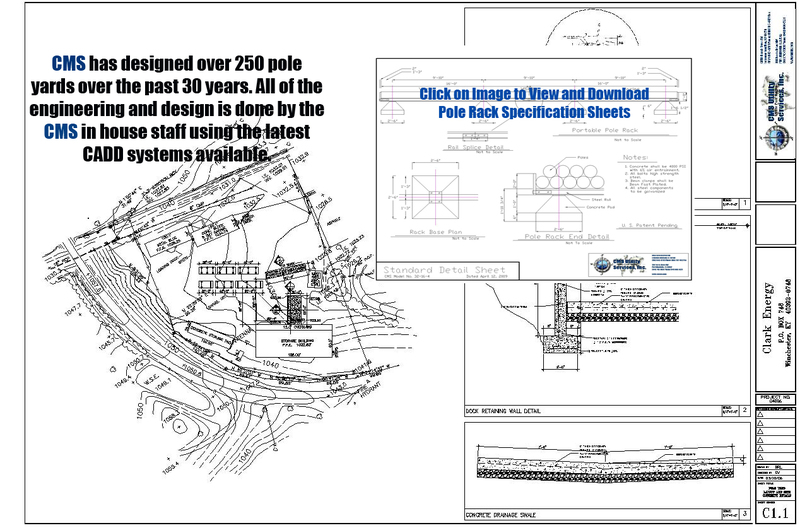 CMS Utility Service’s pole yard design team will design a pole rack layout to fit the needs of any utility company free of charge. In order to design a pole rack layout the design team needs the quantity of poles to be stored by lenght and class. For a free consultation for design service for your pole yard / pole rack needs please click the request free consultation button below.